From avid passion for the NES, I had to get the Sper Nintendo. Come on - it was SUPER! The idea of better Mario graphics on the pack-in cart was enough to sell me on this upgrade. Oddly, I never amassed nearly as many SNES games as I did for the NES. The Super Nintendo Entertainment System (also known as the Super NES, SNES or Super Nintendo) is a 16-bit video game console that was released by Nintendo in North America, Europe, Australasia (Oceania), and South America between 1990 and 1993. In Japan and Southeast Asia, the system is called the Super Famicom, officially adopting the abbreviated name of its predecessor, the Family Computer), or SFC for short. In South Korea, it is known as the Super Comboy and was distributed by Hyundai Electronics. Although each version is essentially the same, several forms of regional lockout prevent the different versions from being compatible with one another. The Super Nintendo Entertainment System was Nintendo's second home console, following the Nintendo Entertainment System (NES). The console introduced advanced graphics and sound capabilities compared with other consoles at the time. Additionally, development of a variety of enhancement chips (which were integrated on game circuit boards) helped to keep it competitive in the marketplace. The SNES was a global success, becoming the best-selling console of the 16-bit era despite its relatively late start and the fierce competition it faced in North America from Sega's Genesis console. The SNES remained popular well into the 32-bit era, and although Nintendo no longer offers factory repairs/replacement or accessories for the console, it continues to be popular among fans, collectors, retro gamers, and emulation enthusiasts, some of whom are still making homebrew ROM images. Early concept designs for the Super NES. The one above was referred to as the "Nintendo Entertainment System 2". To compete with the popular NES/Famicom, NEC launched the TurboGrafx-16 in 1987, and Sega followed suit with the Genesis/Mega Drive in 1988. Both systems were built on 16-bit architectures and offered improved graphics and sound over the 8-bit NES. However, the NES would continue to dominate the gaming market for several years before Sega's system finally became successful. Nintendo executives were initially reluctant to design a new system, but they reconsidered when the NES hardware began to show its age. Seeing its dominance in the market slipping, Nintendo was compelled to create a new console to compete with its 16-bit rivals. Designed by Masayuki Uemura, the designer of the original Famicom, the Super Famicom was released in Japan on Wednesday, November 21, 1990 for ¥25,000 (US$210). It was an instant success: Nintendo's initial shipment of 300,000 units sold out within hours, and the resulting social disturbance led the Japanese government to ask video game manufacturers to schedule future console releases on weekends. The system's release also gained the attention of the Yakuza, leading to a decision to ship the devices at night to avoid robbery. With the Super Famicom quickly outselling its chief rivals, Nintendo reasserted itself as the leader of the Japanese console market. Nintendo's success was partially due to its retention of most of its key third-party developers from its earlier system, including Capcom, Konami, Tecmo, Square, Koei, and Enix. "Nintendo's strongest selling point, however, was the game that came packed in with the Super NES console-Super Mario World." On August 23, 1991, Nintendo released the Super Nintendo Entertainment System, a redesigned version of the Super Famicom, in North America for US$199. The SNES was released in the United Kingdom and Ireland in April 1992 for GB£150, with a German release following a few weeks later. The PAL region versions of the console use the Japanese Super Famicom design, except for labeling and the length of the joypad leads. Both the NES and Super NES were released in Brazil in 1993 by Playtronic, a joint venture between the toy company Estrela and Gradiente. The Super NES and Super Famicom launched with only a few games, but these games were well-received in the marketplace. In Japan, only two games were initially available: Super Mario World and F-Zero. In North America, Super Mario World shipped with the console, and other initial titles included F-Zero, Pilotwings (which demonstrated the console's "Mode 7" pseudo-3D rendering capability), SimCity, and Gradius III. The rivalry between Nintendo and Sega resulted in one of the fiercest console wars in video game history, in which Sega positioned the Genesis as the "cool" console, with more mature titles aimed at older gamers, and edgy advertisements that occasionally attacked the competition. Nintendo however, scored an early PR coup by securing the first console conversion of Capcom's arcade classic Street Fighter II for Super NES, which took over a year to make the transition to Genesis. Despite the Genesis' head start, much larger library of games, and lower price point, market share between the SNES and the Genesis was about even in April 1992, and neither console could maintain a definitive lead for several years. The Super NES eventually prevailed in the American 16-bit console market, and would even remain popular well into the 32-bit generation. During the NES era, Nintendo maintained exclusive control over titles released for the system-the company had to approve every game, each third-party developer could only release up to five games per year (but some third-parties got around this by using different names, for example Konami's "Ultra" brand), those games could not be released on another console within two years, and Nintendo was the exclusive manufacturer and supplier of NES cartridges. However, competition from Sega's console brought an end to this practice; in 1990, Acclaim began releasing games for both platforms, with most of Nintendo's other licensees following suit over the next several years; Capcom (which licensed some games to Sega instead of producing them directly) and Square were the most notable holdouts. Nintendo of America also maintained a strict censorship policy that, among other things, limited the amount of violence in the games on its systems. One game, Mortal Kombat, would challenge this policy. A surprise hit in arcades in 1992, Mortal Kombat features splashes of blood and finishing moves that often depict one character dismembering the other. Because the Sega Genesis version retained the gore while the SNES version did not, it outsold the SNES version by a ratio of three- or four-to-one. Game players were not the only ones to notice the violence in this game; US Senators Herb Kohl and Joe Lieberman convened a Congressional hearing on December 9, 1993 to investigate the marketing of violent video games to children. While Nintendo took the high ground with moderate success, the hearings led to the creation of the Interactive Digital Software Association and the Entertainment Software Rating Board, and the inclusion of ratings on all video games. With these ratings in place, Nintendo decided its censorship policies were no longer needed. Consequently, the uncensored SNES port of Mortal Kombat II became the preferred version among reviewers. While other companies were moving on to 32-bit systems, Rare and Nintendo proved that the Super NES was still a strong contender in the market. In November 1994, Rare released Donkey Kong Country, a platform game featuring 3D models and textures pre-rendered on SGI workstations. With its detailed graphics and high-quality music, Donkey Kong Country rivaled the aesthetic quality of games that were being released on newer 32-bit CD-based consoles. In the last 45 days of 1994, the game sold 6.1 million units, making it the fastest-selling video game in history to that date. This game sent a message that early 32-bit systems had little to offer over the Super NES, and helped make way for the more advanced consoles on the horizon. The SNES continued to sell steadily throughout the 32-bit era. In October 1997, Nintendo released a redesigned model of the SNES (the SNS-101 model) in North America for US$99, which included the pack-in game Super Mario World 2: Yoshi's Island. Like the earlier redesign of the NES (the NES-101 model), the new model was slimmer and lighter than its predecessor, but it lacked S-Video and RGB output, and it was among the last major SNES-related releases in the region. A similarly redesigned Super Famicom Jr. was released in Japan at around the same time. Cut on December 1, 2000. Many popular SNES titles have since been ported to the Game Boy Advance, which has similar video capabilities. In 2005, Nintendo announced that SNES titles would be made available for download via the Wii's Virtual Console service. In 2007, Nintendo of Japan announced that it would no longer repair Family Computer or Super Famicom systems due to an increasing shortage of the necessary parts. The design of the Super NES incorporates powerful graphics and sound co-processors that allowed impressive tiling and Mode 7 effects, many times more colors, and audio quality that represented a massive leap over the competition. Individual game cartridges can supply further custom chips as needed. The CPU is a Nintendo-custom 5A22 processor, based on a 16-bit 65c816 core. The CPU employs a variable bus speed depending on the memory region being accessed for each instruction cycle: the input clock is divided by 6, 8, or 12 to obtain the bus clock rate. Non-access cycles, most register accesses, and some general accesses use the divisor of 6. WRAM accesses and other general accesses use the divisor of 8. Only the controller port serial-access registers use the divisor of 12. The chip has an 8-bit data bus, controlled by two address buses. The 24-bit "Bus A" is used for general accesses, while the 8-bit "Bus B" is used for support chip registers (mainly the video and audio processors). Normally only one bus is used at a time, however the built in direct memory access (DMA) unit places a read signal on one bus and a write signal on the other to achieve block transfer speeds of up to 2.68 MB/s. The DMA unit has 8 independent channels, each of which can be used in two modes. General DMA transfers up to 64 kB in one shot, while H-blank DMA (HDMA) transfers 1-4 bytes at the end of each video scanline. HDMA is typically used to change video parameters to achieve effects such as perspective, split-screen, and non-rectangular windowing without tying up the main CPU. The 5A22 also contains an 8-bit parallel I/O port (which was mostly unused in the SNES); controller port interface circuits, including both serial and parallel access to controller data; a 16-bit multiplication and division unit; and circuitry for generating non-maskable interrupts on V-blank and IRQ interrupts on calculated screen positions. The picture processing unit (PPU) consists of two separate but closely tied IC packages, which may be considered as a single entity. It also contains 64 kB of SRAM for storing video data (VRAM), 544 bytes of object attribute memory (OAM) for storing sprite data, and 512 bytes of color generator RAM (CGRAM) for storing palette data. The PPU is clocked by the same signal as the CPU, and generates a pixel every two or four cycles. Both NTSC and PAL systems use the same PPU chips, with one pin per chip selecting NTSC or PAL operation. Images may be output at 256 or 512 pixels horizontal resolution and 224, 239, 448, or 478 pixels vertically. Vertical resolutions of 224 or 239 are usually output in progressive scan, while 448 and 478 resolutions are interlaced. Colors are chosen from the 15-bit RGB color space, for a total of 32,768 possible colors. Graphics consist of up to 128 sprites and up to 4 background layers, all made up of combinations of 8x8 pixel tiles. Most graphics use palettes stored in CGRAM, with color 0 of any palette representing transparency. Sprites can be 8 × 8, 16 × 16, 32 × 32, or 64 × 64 pixels, each using one of eight 16-color palettes and tiles from one of two blocks of 256 in VRAM. Sprites may be flipped horizontally and vertically as a whole. Up to 32 sprites and 34 8 × 8 sprite tiles may appear on any one line; exceeding these limits causes excess sprites or tiles to be dropped. Each sprite lies on one of 4 planes, however a lower-numbered sprite will always cover a higher-numbered sprite even if the latter is on a higher priority plane. This quirk is often used for complex clipping effects. Mode 0: 4 layers, all using 4-color palettes. Each BG uses its own section of the SNES palette. Mode 1: 3 layers, two using 16-color palettes and one using 4-color palettes. Mode 2: 2 layers, both using 16-color palettes. Each tile can be individually scrolled. Mode 3: 2 layers, one using the full 256-color palette and one using 16-color palettes. The 256-color layer can also directly specify colors from an 11-bit (RGB443) colorspace. Mode 4: 2 layers, one using the full 256-color palette and one using 4-color palettes. The 256-color layer can directly specify colors, and each tile can be individually scrolled. Mode 5: 2 layers, one using 16-color palettes and one using 4-color palettes. Tile decoding is altered to facilitate use of the 512-width and interlaced resolutions. Mode 6: 1 layer, using 16-color palettes. Tile decoding is as in Mode 5, and each tile can be individually scrolled. Mode 7: 1 layer of 128x128 tiles from a set of 256, which may be interpreted as a 256-color one-plane layer or a 128-color two-plane layer. The layer may be rotated and scaled using matrix transformations. HDMA is often used to change the matrix parameters for each scanline to generate perspective effects. Background layers may be individually pixelized, and layers and sprites can be individually clipped and combined by color addition or subtraction to generate more complex effects and greater color depths than can be specified directly. The PPU may be instructed to latch the current pixel position at any time during image output, both by game software and by the device attached to controller port 2. The game software may then read back this latched position. The PPU may also be used for fast 16-bit by 8-bit signed multiplication. The audio subsystem consists of an 8-bit Sony SPC700, a 16-bit DSP, 64 kB of SRAM shared by the two chips, and a 64 byte boot ROM. The audio subsystem is almost completely independent from the rest of the system: it is clocked at a nominal 24.576 MHz in both NTSC and PAL systems, and can only communicate with the CPU via 4 registers on Bus B.
RAM is accessed at 3.072 MHz, with accesses multiplexed between the SPC700 and the DSP. This RAM is used to store the SPC700 program and stack, the audio sample data and pointer table, and the DSP's echo buffer. The SPC700 runs programs (uploaded using the boot ROM program) to accept instructions and data from the CPU and to manipulate the DSP registers to generate the appropriate music and sound effects. The DSP generates a 16-bit waveform at 32 kHz by mixing input from 8 independent voices and an 8-tap FIR filter typically used for reverberation. Each voice can play its PCM sample at a variable rate, with Gaussian interpolation, stereo panning, and ADSR, linear, non-linear, or direct volume envelope adjustment. The voice and FIR filter outputs are mixed both for direct output and for future input into the FIR filter. All audio samples are compressed using ADPCM and a linear predictive coding, a method dubbed BRR. Hardware on the cartridge, expansion port, or both can provide stereo audio data for mixing into the DSP's analog audio output before it leaves the console. Since the audio subsystem is mostly self-contained, the state of the audio subsystem can be saved as an .SPC file, and the subsystem can be emulated in a stand-alone manner to play back all game music (except for a few games that constantly stream their samples from ROM). Custom cartridges or PC interfaces can be used to load .SPC files onto a real SNES SPC700 and DSP. The console contains 128 kB of DRAM. This is mapped to various segments of Bus A, and can also be accessed in a serial fashion via registers on Bus B. The video and audio subsystems contain additional RAM reserved for use by those processors. Nintendo employed several types of regional lockout, including both physical and hardware incompatibilities. On a physical level, the cartridges are shaped differently for different regions. North American cartridges have a rectangular bottom with inset grooves matching protruding tabs in the console, while other regions' cartridges are narrower with a smooth curve on the front and no grooves. The physical incompatibility can be overcome with use of various adapters, or through modification of the console. Internally, a regional lockout chip (CIC) within the console and in each cartridge prevents PAL region games from being played on Japanese or North American consoles and vice versa. The Japanese and North American machines have the same region chip. The console CIC releases the reset signal to the rest of the system only after completing a handshake with the chip in the cartridge. This can be overcome through the use of adapters, typically by inserting the imported cartridge in one slot and a cartridge with the correct region chip in a second slot. Alternatively, disconnecting one pin of the console's lockout chip will prevent it from locking the console; hardware in later games can detect this situation, so it later became common to install a switch to reconnect the lockout chip as needed. PAL consoles face another incompatibility when playing out-of-region cartridges: the NTSC video standard specifies video at 60 Hz while PAL operates at 50 Hz, resulting in approximately 16.7% slower gameplay. Additionally, PAL's higher resolution results in letterboxing of the output image. Some commercial PAL region releases exhibit this same problem and therefore can be played in NTSC systems without issue, while others will face a 20% speedup if played in an NTSC console. To mostly correct this issue, a switch can be added to place the SNES PPU into a 60 Hz mode supported by most newer PAL televisions. Later games will detect this setting and refuse to run, requiring the switch to be thrown only after the check completes. The SNES standard controller adds two additional face buttons to the design of the NES iteration, arranging the four in a diamond shape, and introduces two shoulder buttons. The inclusion of six active buttons was made with the popularity of the Street Fighter arcade series in mind. It also features an ergonomic design later used for the NES-102 model controllers. The Japanese and PAL region versions incorporate the system's logo in the colors of the four action buttons, while the North American version colors them lavender and purple to match the redesigned console and gives the lighter two a concave rather than convex top. Several later consoles derive elements of their controller design from the SNES, including the PlayStation, Dreamcast, Xbox, and Wii Classic Controller. Throughout the course of its life, a number of peripherals were released which added to the functionality of the SNES. Many of these devices were modeled after earlier add-ons for the NES: the Super Scope is a light gun functionally similar to the NES Zapper (though the Super Scope features wireless capabilities) and the Super Advantage is an arcade-style joystick with adjustable turbo settings akin to the NES Advantage. Nintendo also released the SNES Mouse in conjunction with its Mario Paint title. Hudson Soft, under license from Nintendo, released the Super Multitap, a multiplayer adapter for use with its popular series of Bomberman games. Some of the more unusual controllers include the one-handed ASCII Stick L5, the BatterUP baseball bat, and the TeeV Golf golf club. While Nintendo never released an adapter for playing NES games on the SNES, the Super Game Boy adapter cartridge allows games designed for Nintendo's portable Game Boy system to be played on the SNES. The Super Game Boy touted several feature enhancements over the Game Boy, including palette substitution, custom screen borders, and (for specially enhanced games) access to the SNES console. Japan also saw the release of the Super Game Boy 2, which added a communication port to enable a second Game Boy to connect for multiplayer games. During the SNES's life, Nintendo contracted with two different companies to develop a CD-ROM-based peripheral for the console to compete with Sega's CD-ROM based addon, Sega CD. Ultimately, negotiations with both Sony and Philips fell through, and Sony went on to develop its own console based on its initial dealings with Nintendo (the PlayStation), with Philips gaining the right to release a series of titles based on Nintendo franchises for its CD-i multimedia player. 49.10 million Super NES units were sold worldwide, with 23.35 million of those units sold in the Americas and 17.17 million in Japan. Although it could not quite repeat the success of the NES, which sold 61.91 million units worldwide, the Super NES was the best-selling console of its era. The Mega Drive/Genesis came in second with 29-30 million sold worldwide, and the TurboGrafx-16 was third with 10 million sold worldwide. 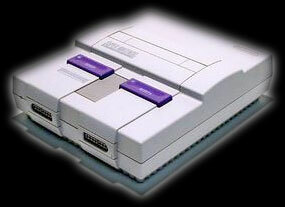 The SNES has often been considered among the best video game consoles ever. In 2007, GameTrailers named the Super NES as the second-best console of all time in their list of top ten consoles that "left their mark on the history of gaming", citing its graphic, sound, and library of top-quality games. Technology columnist Don Reisinger proclaimed "The SNES is the greatest console of all time" in January 2008, citing the quality of the games and the console's drastic improvement over its predecessor; fellow technology columnist Will Greenwald replied with a more nuanced view, giving the SNES top marks with his heart, the NES with his head, and the PlayStation (for its controller) with his hands. GamingExcellence also gave the SNES first place in 2008, declaring it "simply the most timeless system ever created" with many games that stand the test of time and citing its innovation in controller design, graphics capabilities, and game storytelling. At the same time, GameDaily rated it fifth of ten for its graphics, audio, controllers, and games. In 2009, IGN named the Super Nintendo Entertainment System the fourth best video game console, complimenting its audio and "concentration of AAA titles".